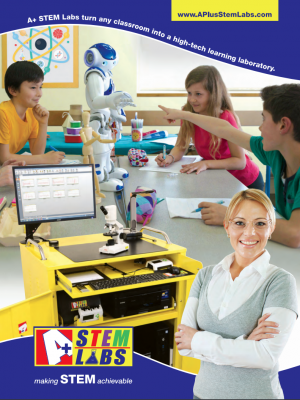 A+ STEM Labs was established in 2002, as a division of A+ Technology Solutions. The idea was to create a portable technology and science cart that could be moved from room to room and was a fraction of the cost of renovating an entire classroom and dedicating it to science. With A+ STEM Lab the students enjoy hands on learning. The A+ STEM Lab Curriculum below. This technology keeps them engaged and helps with lesson retention. A+ STEM Labs is bringing you the latest news and more in the world of STEM, Science, and Education beyond. 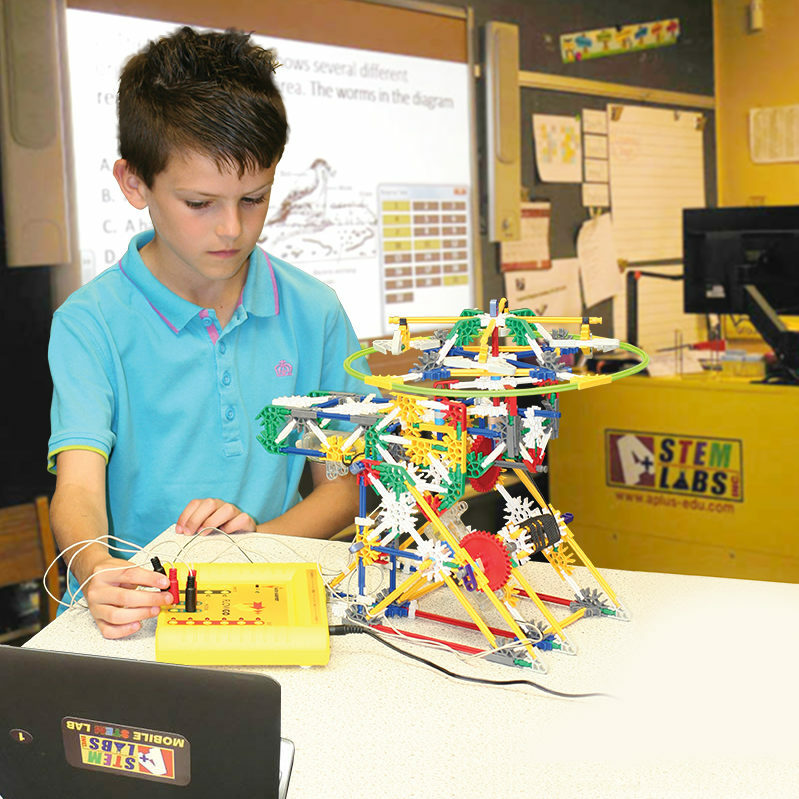 A+ STEM Labs Activity Specialty Kits integrate seamlessly. Use them as a foundation for special classes, extra-curricular clubs and more! The popular Maker Movement represents the intersection of creativity and technology, where STEM (and STEAM) disciplines enable the physical creation of tangible objects. 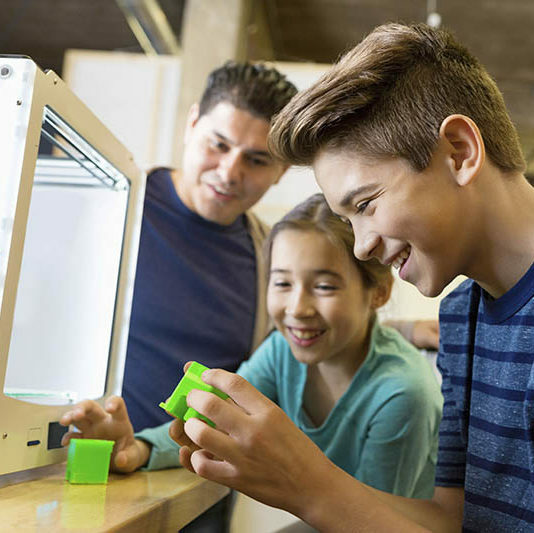 A+ STEM Lab’s 3D design and printing solution teaches students how to design, plan and build a product from raw idea to finished item.